When you are considering losing weight or need help with weight loss, a testimony or an endorsement by Dr. Oz might sway your opinion...right? I am sure that you consider what Dr. Oz says to be true and reliable. Weight loss can be tough enough without getting wrong information! You may be surprised to read this, but you should not believe a weight loss endorsement from Dr. Oz! This is partly Dr. Oz's fault but mostly NOT. 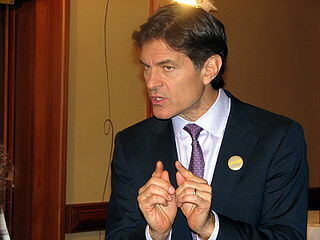 What you need to be aware of is that there are a lot of Dr. Oz endorsements that Dr. Oz has nothing to do with. 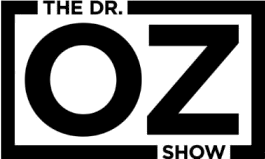 The Dr, Oz endorsement is often bogus, it is simply a lie, but one that can really harm you. To complicate matters for you, Dr. Oz has endorsed several weight loss products that DO NOT WORK! If a product is endorsed by Dr. Oz , it may be a SCAM. Chances are the it is a product that has NOTHING TO DO WITH Dr. Oz, chances are that it is a product that Dr. Oz has not endorsed and knows nothing about, so the endorsement is fake. Dr. Oz's name is being used without his knowledge or consent. It seems that his Internet people actually try hard to police this problem. Unfortunately, unscrupulous websites continue to spring up with these false endorsements. I urge you to get all the facts and make decisions accordingly. If you need help, our 30 day training program includes many of the weight loss skills that you will need for research. for decision making, and more. The training is a part of your free membership, if you would like to join us. Thanks for reading, my friends. Much success on your weight loss journey.